My favorite kitchen gadgets and tools from the past year! 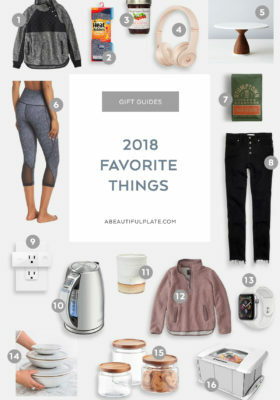 Gift guide week continues! So far, I’ve shared my favorite cookbooks of the year and my annual favorite things. 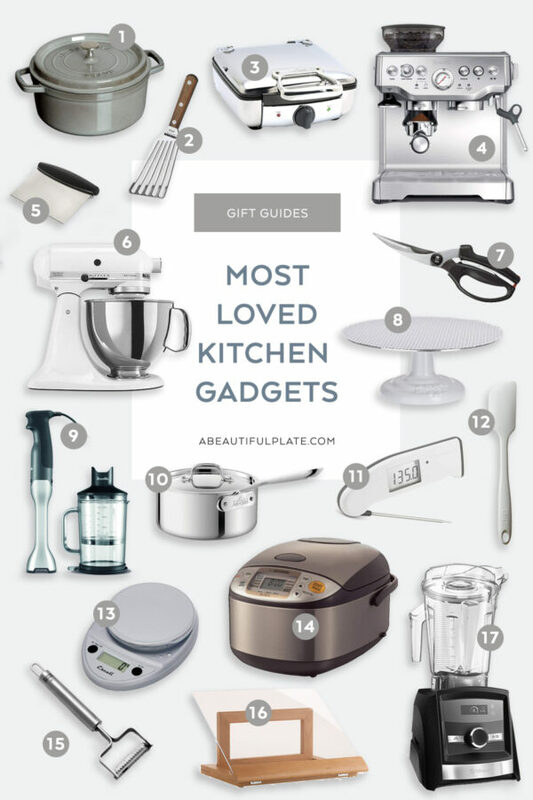 Today, I’m sharing my most loved kitchen gadgets and tools! There are many other tools in my kitchen, but these are some of my all-time favorites. You’ll find a large variety of items in this list. 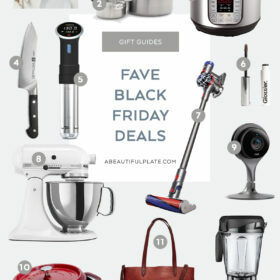 Bigger investment pieces and basic kitchen tools. I’ve owned many of these tools for years and years, and they preform just as well now as they did when I got them. While I don’t use all of these items on a daily basis, I’m always grateful to have them on hand when I do. If you know someone who loves to cook (or are simply looking to spoil yourself over the holidays), this gift guide is a good place to start. Staub 5.5 Quart Cocotte – if you’re looking to invest or gift someone a beautiful, timeless Dutch oven, this is my favorite one on the market. This size is my favorite, because it is helpful for a wide variety of uses: soup, baking bread, sauces, braising, etc. These are gorgeous enough to display on a shelf, and also clean extremely easily. Fish Spatula – whenever someone asks me for kitchen tool recommendations, I always recommend a fish spatula. Yes, technically they are designed to flip fish (and they do so excellently! ), but I use it for everything: as a flexible spatula to pick up cookies, flipping pancakes, sautéing, etc. All-Clad Belgian 4-Waffle Maker – Connor and I registered for this appliance for our wedding over five year ago, and while we only use it every month or so, we absolutely love it. It is especially fun to have on hand when we have guests in town, because we can make a large quantity of homemade waffles for brunch in minutes (much more practical than pancakes!). It is definitely a want, not a need. This machine makes deep creviced classic Belgian waffles. While the waffle plate does not come out of this machine, it is non-stick and relatively easy to clean regardless. Breville Barista Express Espresso Maker – if you follow me on Instagram, you know that I mention my love for our espresso maker approximately once a week (or more frequently). It is my most-loved appliance of all time and I’ve recommended it to countless people. It preforms just as well now as it did four years ago. If you want to avoid expensive pod systems and grind your own beans (this machine has an attached burr grinder and milk brother), this machine is an incredible value. Your coffee game will never be the same! Oxo Bench Scraper – A basic bench scraper is one of my favorite tools in the kitchen. I use it to lift chopped veggies and transfer them to pots and pans, scrape down my countertop (particularly helpful when you’re baking or making bread! 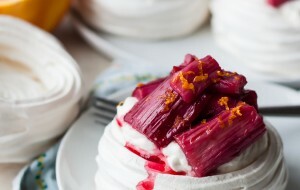 ), cut pastry doughs, etc. This would make a great stocking stuffer! KitchenAid Artisan Stand Mixer – this is to be expected, but there’s no tool quite like a classic KitchenAid stand mixer if you love to bake. Yes, a hand mixer can help you accomplish a lot of tasks, but it is nothing like a stand mixer. I love this basic, standard size model, because it is the most practical one for most standard recipes (although if you wish to make large batches of doughs, I recommend getting the professional series!). Another major perk of a stand mixer? You can start to slowly invest in attachment tools, which are a game changer. My favorite is the pasta attachment. Oxo Poultry Kitchen Shears – I bought a pair of these before Thanksgiving last year, and I don’t know how I’ve lived without them. Kitchen scissors are so helpful in the kitchen, and these are powerful enough to spatchcock a chicken or large turkey, trim tough flower stems, etc. The scissor pieces can also disconnect for washing in the dishwasher. Oxo tools are the best! Ateco Revolving Cake Stand – while I don’t make layer cakes that often, I’m always grateful to have this revolving cake stand on hand when I do. If you have a baker in your life (and anyone who is looking to step up their cake game! ), this is my favorite, high-quality revolving cake stand. It has a heavy cast iron base, large spinning top, and will not go anywhere – so much better than the cheaper plastic ones on the market! It is also pretty enough to be used as a cake stand. Breville Immersion Blender – after living without an immersion blender for years, I finally invested in one this past year. I’m a huge fan of all Breville appliances (I have several and they’re so well designed! ), and this is my latest favorite. I particularly love this model, because it comes with a variety of attachments – a small food processor/chopper attachment, a whisk attachment, and deep blender container. This tool is fabulous for blending smooth soups, whipping cream, making emulsified vinaigrettes or mayonnaise, etc. So easy to clean too! I recently tossed my old mini food processor, because the food processor attachment on this performs so well. I use it for grating hard cheese, making smaller batches of pesto, etc. All-Clad D3 Cookware – I’m a big proponent of investing in high-quality, heavy-bottomed stainless steel cookware, and All-Clad is probably the best on the market. They are expensive, but will last a lifetime if taken care of properly. I recommend slowly investing in one piece at a time, and I’ve found this 3-quart saucepan to be one of my most-used of my set. Thermapen Thermometer – this thermometer has graced practically every gift guide on my blog, but I’m mentioning it again! If you’re looking to invest in an amazing kitchen thermometer, the Thermapen is the best on the market. This would make a great gift for the man or woman in your life! You’ll use this for everything. GIR Spatula – my favorite brand of spatula! These would make great stocking stuffers. Kitchen Scale – while you can certainly get away without one, a baker’s scale is one of my most-used kitchen tools. If you’re looking for consistent baking results (or simply looking for a tool to help weigh out savory items, etc.) or wish to purchase international cookbooks, you’ll need one of these. I include gram measurements on all of my dessert recipes on the blog too! Zojirushi Rice Cooker – the best rice cooker on the market. Zojirushi rice cookers are useful for so many things other than just rice. I use mine to make all types of grains (quinoa, bulgur, sticky rice, brown rice, oatmeal, etc. ), and the results are fantastic. While it takes longer to cook grains in a rice cooker than on the stovetop, I love that you can set these to be done right before you eat and leave your apartment while it cooks. It also frees up a burner on the stove and is completely hands-off! Great for meal prepping, etc. Kuhn Julienne Peeler – this fun, extremely sharp and high-quality kitchen tool makes beautiful julienne strips. Great for citrus peels, impromptu zucchini noodles, beets, carrots, chocolate, stir fries, etc. If you love to make large veggie-filled salads, you will love this tool! It also takes up no space at all. Cookbook Stand – whenever I break out this cookbook stand, I’m reminded of how much I love it. Most cookbook stands are pretty hideous (in my humble opinion), but this one is very good looking and folds flat for storage. 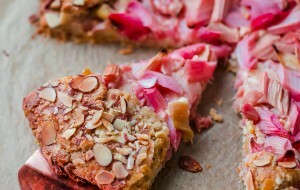 Pair this with a great cookbook! Vitamix A3300 Blender – while I don’t own this particular model of Vitamix (I own this older, more basic professional model – which is also great and more affordable), this is the model that I would buy if I was looking to upgrade. High powered blenders are an incredible tool to have on hand in the kitchen! The attachments for this machine are amazing. These blenders are an investment, but they’ll last for years and years. There is a reason why this is the only high-powered blender brand that you’ll find in professional restaurant kitchens! 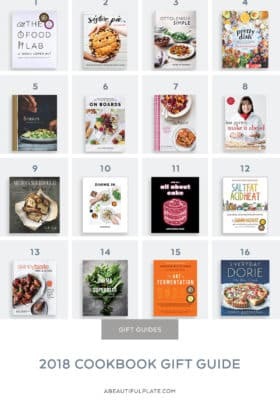 For more gift ideas, check out my 2018 cookbook gift guide, 2018 favorite things gift guide, and gift guides from previous years. I could use a cookbook stand! Thank you for inspiration! Absolutely LOVE this list. Does the lid or handle on the All Clad get hot? Also, does it require any special cleaning or instructions to use? Yes the lid and handle definitely get hot!!! But the handle can take quite a bit of heat before it gets scalding. I just use a kitchen towel or hand held pot holder if I’m moving it/lifting. I use a product called bar keepers friend to clean it if it spots or is particularly dirty, but I don’t have to do it very often (also don’t use super coarse/heavy duty scrubbers). Other than that, nope! I do still use a food processor but I don’t have to use it very often since my immersion blender attachment helps me do a lot of tasks (and I’m generally only cooking for 2!). But I highly recommend the Magimix food processor by Robot-Coupe. I have that one. It’s a beast, but it’s so powerful and gets amazing reviews! Thank you, Laura, for all the info and quick response! And happy Thanksgiving! !